IronSocket Review 2018 – Is IronSocket Secure and Private? 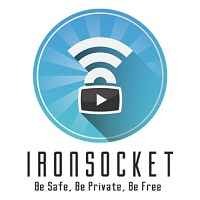 Mandee Rose | Posted on March 19, 2018 March 19, 2018 | Leave a comment on IronSocket Review 2018 – Is IronSocket Secure and Private? IronSocket VPN was originally founded in Hong Kong in 2005. It offers secure Virtual Private Network (VPN) tunnels to locations in 39 countries. I discovered there was a lot to like about this VPN provider, and it offers a quality service for a nominal fee. It’s refreshing to see that even a relatively cheap provider can still offer a solid set of features, which helps improve the value of the service. How Much Does IronSocket Cost? IronSocket VPN has a pretty attractive pricing model, costing less than most other providers. While it isn’t the cheapest VPN on the market, the monthly plan is surprisingly affordable. Typically, I recommend staying away from monthly subscription plans, because they don’t offer any savings and can be quite expensive. However, IronSocket is so cheap that even the monthly plan is practical. Some providers offer monthly plans that cost around $12.00 per month. However, IronSocket VPN has a monthly plan that’s even cheaper per month than many other providers’ monthly cost even when discounted annual subscription rates are taken into account. For example, the monthly cost of ExpressVPN’s annual plan is $8.32, whereas the single month plan for IronSocket is a mere $6.99. Furthermore, IronSocket VPN has an annual plan that’s approximately half of ExpressVPN’s annual plan. Unfortunately, IronSocket does lack a free service and a free trial. Like many other VPN services, IronSocket makes do with a seven-day money-back guarantee. That’s nothing to write home about, but it is better than nothing, and gives new users a week to try out the service risk-free. Also, note that IronSocket VPN allows up to three simultaneous connections. That’s neither exceptional nor poor, though increasing numbers of VPN providers are upping the amount of simultaneous connections permitted. Many service providers now offer up to five concurrent VPN tunnel connections, while IronSocket offers just three. It was refreshing to see all of these connection options rolled into one subscription. Some Smart DNS and Smart VPN providers are nothing more than proxy services, don’t offer encryption, and cost more than IronSocket VPN. I can’t imagine why anyone would sign up with a Smart VPN service instead of IronSocket, since it offers the same connection types but includes encrypted VPN tunnel connections. All other locations do not permit P2P traffic. I suppose it’s not such a big deal, since people often terminate VPN tunnels outside of their home country to protect traffic as it crosses national borders. Still, I wish that BitTorrent traffic wasn’t so heavily limited. It seems that IronSocket is simply trying to protect itself from liability and copyright infringement. The speed test results sent me mixed signals, to say the least. The Hong Kong connection was phenomenal, and I had to pick my jaw up off the floor after seeing such a drastic improvement in download and upload bandwidth. Perhaps part of the reason the Hong Kong connection was so good is because that’s where the company is based. The USA speed tests, on the other hand, were dismal at best. The VPN tunnel to the US dramatically choked my bandwidth through a bottleneck, like sand through an hourglass. It didn’t impress me in the least. I ran several speed tests on different servers in the same area to see if it was merely a fluke, but continued to get approximately the same results. While I was pleased that the Hong Kong location performed admirably, I couldn’t stand the US-West connection. The connection was almost unusable by today’s standards, and I noticed a significant impact on my ability to browse the web and download simple HTTP webpages. I couldn’t feasibly download YouTube content either – it was intolerable. Even though the Hong Kong connection was spectacular, it was overshadowed by the awful US-West connection. In summary, I think I’d give IronSocket two out of five stars with regards to speed. Overall, I thought that IronSocket’s customer support was set up pretty well. It is gated and lacks a live chat feature, however, which makes it much more difficult to reach out to the support department with inquiries regarding this service’s features. Even though I was disappointed by the lack of live chat, users do have the ability to submit a ticket via an online support form. I have to hand it to the support department – they did a fantastic job filling out the support page with easily navigable, accessible, and easy-to-follow guides. The guides come with high quality images that detail every step of the process, which is fairly common. What I was particularly impressed with was how extensive the guides were. The guides show you how to set up just about any VPN connection or proxy configuration on almost any platform imaginable. In fact, IronSocket went as far as to create guides that show users how to terminate VPN tunnels on their routers. I don’t often find that VPN service providers have such detailed guides for non-standard platforms like routers, and have individual guides created for all the major manufacturers including Linksys, D-Link, Netgear, Belkin, DD-WRT, Tomato, TP-Link, and more. Thus, even though there isn’t a live chat feature, I still have to give IronSocket four out of five stars for such an extensive and well laid out knowledgebase. If you’re worried that IronSocket VPN collects too much data, remember that almost every VPN provider collects this data to monitor network and server performance. The bottom line here is that none of your online activities are monitored, so you can browse the web with security and anonymity. Overall, I was pleased with IronSocket and would recommend it to others. I think IronSocket is an ideal fit for those looking for a cheap VPN provider that offers a decent level of service. I really only had two big complaints. The first thing I didn’t like was the restriction on P2P traffic, though that’s easily circumvented by selecting one of the nine locations that permits P2P downloads. My second problem was the awful US-West speed test results, which were consistent across several repetitions of the test. If you’re trying to download content that’s exclusively available in the United States, I’d look for another provider. Still, I do have to give credit where credit is due, and was blown away by the results of the Hong Kong test. Finally, remember that IronSocket doesn’t have advanced features, like a VPN kill switch. It’s not really a necessity, but if you download a lot of BitTorrent files, it’s nice to have. If your main concern is finding a low cost provider with decent global locations and strong encryption, then I’d recommend IronSocket. If, however, speed is of the utmost concern, I’d shop around for another provider.